Home - Sculptra Southington, CT.
Are you noticing volume loss within your face and want to find a treatment that can rebuild it? At Re:nu 180 Medspa we offer a treatment that not only volumizes but rebuilds collagen strands as well: Sculptra. 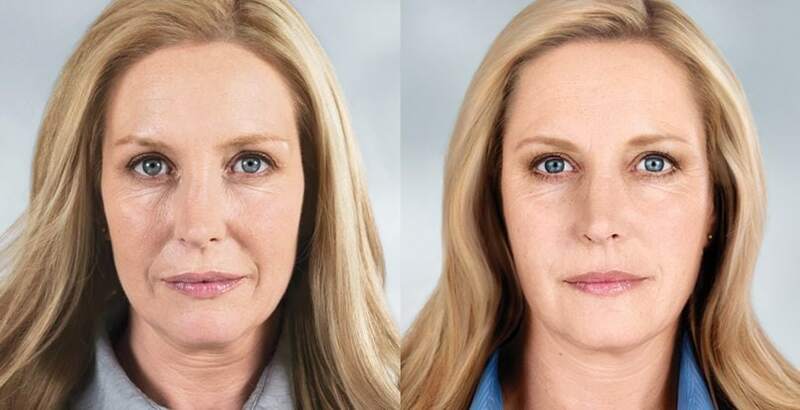 This injectable is different from other injectables because it penetrates deeply within the skin to rebuild and repair broken collagen strands, therefore, allowing the face to regain its former structure and appearance. Give Yourself The Lift You Deserve! Known as Sculptra Aesthetic; it is an FDA approved injectable, that replaces lost collagen over time. The results can last for more than 2 years. Chin wrinkles: Wrinkles that are found on the lower part or sides of the chin. The procedure works by injecting Sculptra deep into the dermis, into the different areas of the face. The treatment regimen consists of an average of 2-3 sessions, over the course of 3 to 4 months. Once the Sculptra treatments are completed, it lasts about 2 years. Unlike fillers that use liquid or gel substances that simply fill in the areas, Sculptra acts as a collagen stimulator. It works within the dermis to help restore your skin’s inner structure and volume. It uses PLLA (poly-L-lactic acid) microparticles, which absorbs into the dermis to help stimulate collagen production. The collagen production strands are then rebuilt and slowly begin to restore facial volume. Why should you try Sculptra? We recommend this treatment because of the way that it works. Instead of the product sitting underneath the skin, it penetrates deeply within the dermis. Once it is injected, it begins to revitalize collagen production and restores the skin’s inner structure and volume. At Re:nu 180, we suggest Sculptra for our clients because of the way that is sculpts and rebuilds the face. It stimulates the collagen strands within the face and begins to shape the areas that had begun to lose their volume. Clients who receive this treatment see significant results in the firmness and structure of their face. Another reason we recommend this treatment, is the longevity of the results. Once the treatment is completed, it lasts approximately 2 years before the next treatment. If you would like to learn more about Sculptra, schedule a consultation with us today. At Re:nu 180 Medspa in Southington, CT., Christina P. Baden, ARPN, Medical Director will evaluate you to see how this procedure will work for you. During the consultation, she will address any of your concerns and create a personalized treatment plan for you to ensure the results you desire. So, don’t wait any longer! Come in today and start your aesthetic journey to a new, improved you. We look forward to seeing you.